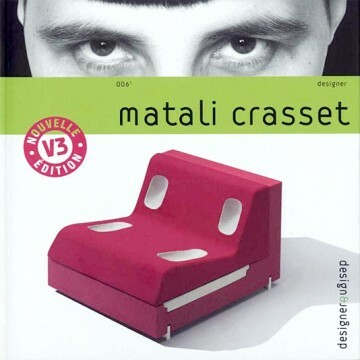 Design & Designer 006 v.3 – Matali Crasset, official blurb: Matali Crasset, a former associate of Denis Santachiara and of Philippe Starck, is one of the rare female designers with an international profile. Her unrelenting output includes furniture, exhibition designs and interior designs. In his preface to this third edition, American novelist Bruce Benderson describes her as a "creative genius". In 2006, she was voted designer of the year at the Paris furniture show.